George and Harold are up to their old tricks again, and when their latest prank makes a direct hit on school brainiac Melvin Sneedly, he decides to get even! 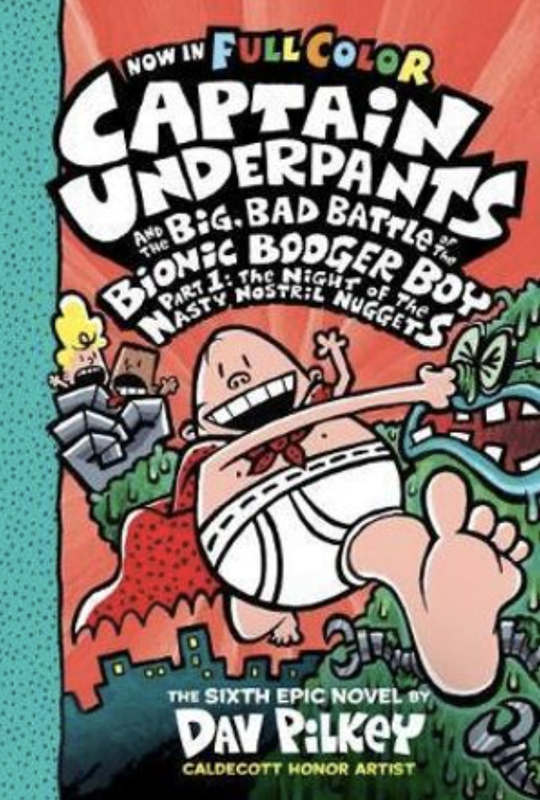 But in the blink of an eye — and the sneeze of a nose — Melvin goes from snooty to snotty, and the Bionic Booger Boy is born! 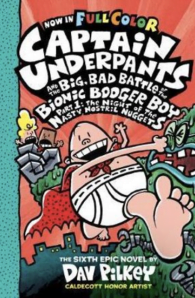 Can Captain Underpants clean up this catastrophe, or will the mucous monster make a mess of things?